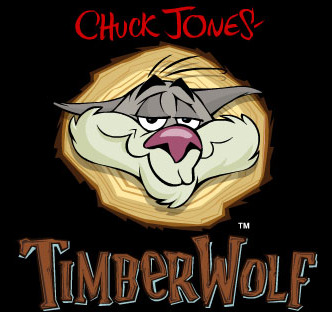 Timber Wolf is the last animated project by Chuck Jones of Looney Tunes fame before he passed away in February 2002. Following the misadventures of Thomas Timberwolf (a wolf who attempts to avoid a tree falling on him by trying not to say his middle name), it is a Flash-animated web series that ran on Warner Bros.' website between 2001 and 2002 before it vanished completely from the front page. Only 13 episodes were released to the public (and were eventually rescued by a fan whose website still has them available to this day), but according to Stephen Fossatti, Jones' latest protege who worked with him for ten years and took helm of the series, there are six more episodes that were completed and was originally going to be released, but they were postponed by the time of Jones' death. One of these unreleased episodes is a two-parter called "Money Tree", in which Thomas bemoans the fact that the show's budgets were too small, and because of the lack of funds, he was forced to lay off the other characters and present the episode as a one-character storyline. ↑ Thomas Timberwolf: the Saga continues.